Perfect to wear for the wedding weekend! Be sure to check out our other t-shirts and gifts for the wedding party. 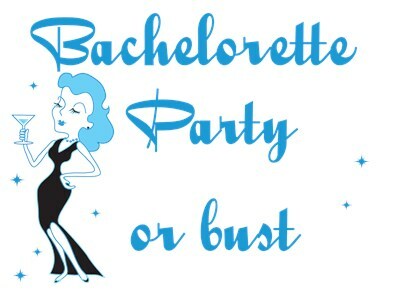 Be sure to check out our Bachelorette Party or Bust t-shirts for the big night out, as well as our bridesmaid t-shirts! Toast the bride-to-be with a Pink Martini! Be sure to check out our other Bachelorette Party t-shirts, as well as our bride and bridesmaid t-shirts! Makes a fun party favor or gift. Buy a 10-pack and give the Year of Fun as stocking stuffers! Makes a great shower gift or party favor!